This course teaches you how to process SAS data using Structured Query Language (SQL). This course can help prepare you for the following certification exam(s): SAS Advanced Programming for SAS 9.
replace multiple DATA and PROC steps with one SQL query. 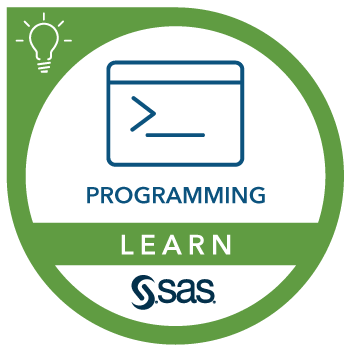 You can gain this experience from the SAS® Programming 1: Essentials course. No knowledge of SQL is necessary. Includes this course, Programming 3 and Macro courses, practice exam, exam voucher, and SAS Certification Prep Guide (pdf).